Opens in 10 h 37 min. Greeff Attorneys is a dynamic law firm specialising in Commercial Law, Property Law, Conveyancing and Estate Planning. The firm is run by Marguerite Greeff, a qualified attorney, notary public and conveyancer with more than 10 years experience in the legal industry. The firm is based in Cape Town, South Africa. Please go to www.greeffattorneys.co.za for more information. We received great service from Marguerite Greeff at Greeff Attorneys and can recommend her to everyone. She has expert knowledge on contract law and we will make use of her services again in the future. Write a review for Greeff Attorneys! 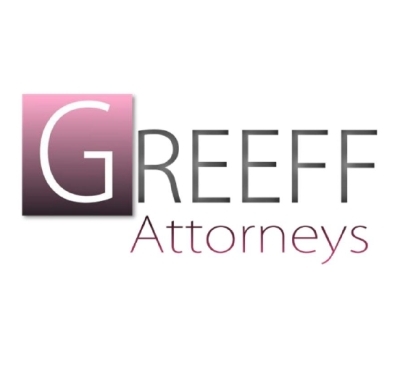 Do you know Greeff Attorneys? Share your experience - write a review! Estate Planning for Individuals While no one enjoys thinking about disability or death, developing a comprehensive estate plan is one of the most important steps that you can take to protect yourself and your loved ones. Estate planning isn’t simply about drafting wills, trusts, and other instruments.